Filed to: olé!Filed to: olé! 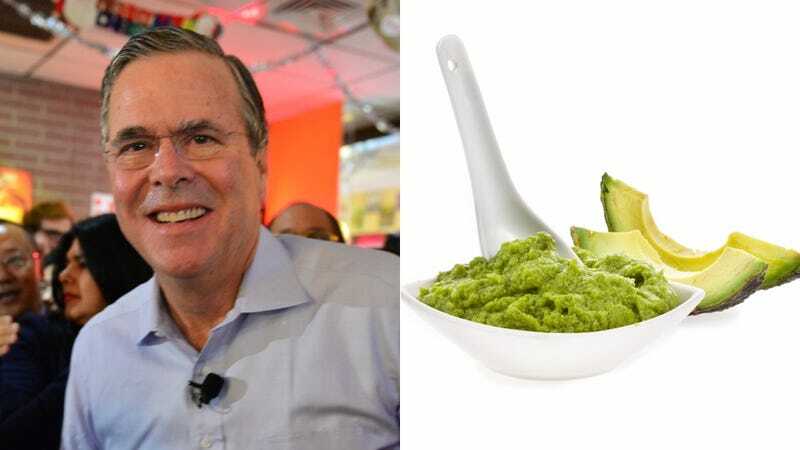 Hello, this is a shock and an honor: we have finally secured the recipe to Sr. Heb Boosh’s famous guacamole, the very same guacamole that sits inside this $75 Guaca Bowle for sale on his campaign website. No lemon and no tomatoes. And don’t go making this in a bowl. “You gotta use amolcajete,” Bush said.